Whether you have questions about Christianity or looking for a church home, you are welcome at Zion. Please join us for Sunday Service at 10:30 am. Zion Evangelical Lutheran Church is a Christian Church. At the very core of our teaching, belief, and practice is central teaching of the Bible: that human beings are saved from sin solely by God's grace, through faith given by the Holy Spirit in God's Word, because of Jesus Christ. 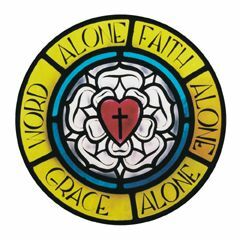 Lutherans believe and teach all that the Bible teaches; we accept the Book of Concord (the documents of the Lutheran Reformation) as a correct explanation of the Bible. We believe that faith in Jesus Christ is living and active, and that Christians are called to serve God by faithfully living out their calling in life in the world, brightening their corner of the world with the message and love of Christ.